Unique architecturally designed residential building in the heart of Bondi, capturing full Northern aspects by every apartment. 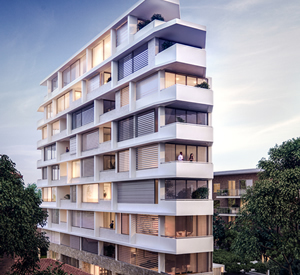 Boasting highly sought after appointments such as ducted air condition, European appliances, stone benchtops, state-of-the-art security and far more, this prime project is indeed worthy of its premium location. Set back from the glorious golden sands in a leafy residential precinct, Amari Bondi offers a fresh new take on living in Sydney’s perennially popular Eastern Suburbs.